After years of intense experience, I learned to be spontaneous in baking. It's all good when I have the ingredients on hand. Without them, it's not possible. One time, I just realized it had been a while since I served oatmeal cookie for turn down service. What took me so long to make them again? As I was sifting the flour with cinnamon, baking soda and salt, I remembered I was out of oats. That's it. How could I possibly forget? I usually keep track of my supplies but somehow my mind was occupied with something else. Oh well, I had already started. I might as well continue. What about oatmeal? Out of nowhere, an idea to use muesli in place of oats struck me. 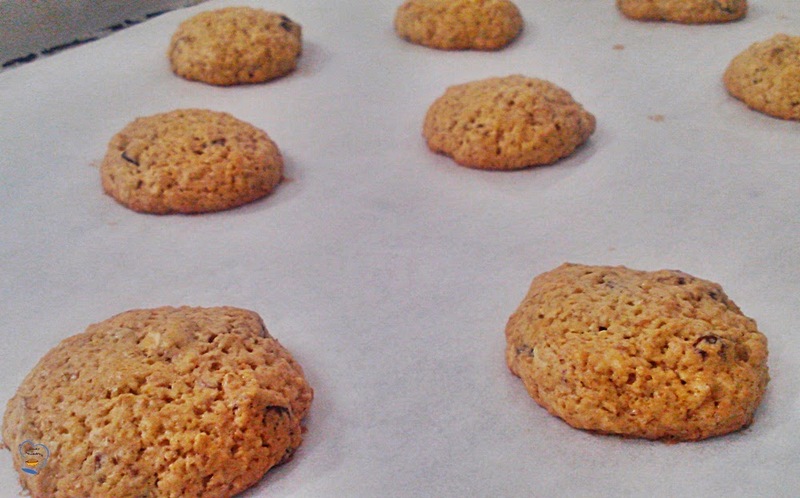 I based the recipe on the same oatmeal cookie I posted in August but tweaked it once more. The result was even better. 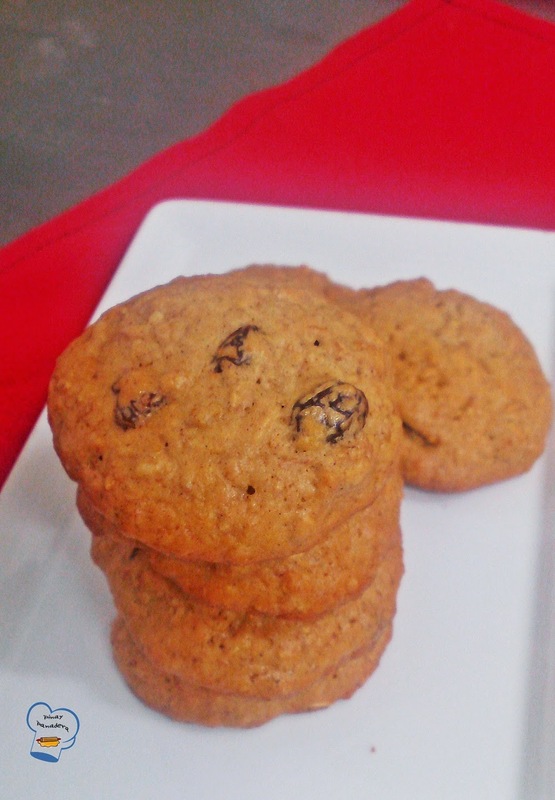 Soft and chewy muesli cookie. 1. Combine beaten eggs, milk, raisins and muesli. Soak for an hour. 2. Sift together flour, baking soda, salt and cinnamon. Set aside. 3. In a bowl of electric mixer or with a hand mixer, beat butter, shortening and sugar. 4. Add flour mixture. Mix until combined. 5. Blend in muesli and raisin mixture. Dough will be wet. 6. With clean, wet hands, re-wetting as needed, roll dough into balls. Place the dough onto cookie sheet lined with non stick baking paper. Flatten slightly. 7. Bake in a preheated 175 C oven for 10-12 minutes or until lightly browned. 8. Best served when warm.